Imagine your dream wedding weekend with your closest friends and family close by you while residing at a 100+ acre, exclusive compound and all your wedding events being just steps away! A "Farm Destination Wedding location" Bogle Farms has wonderful venues including gardens, barns, manicured meadows, resort-style swimming pool and multiple ‘natural’ locations for your special day! 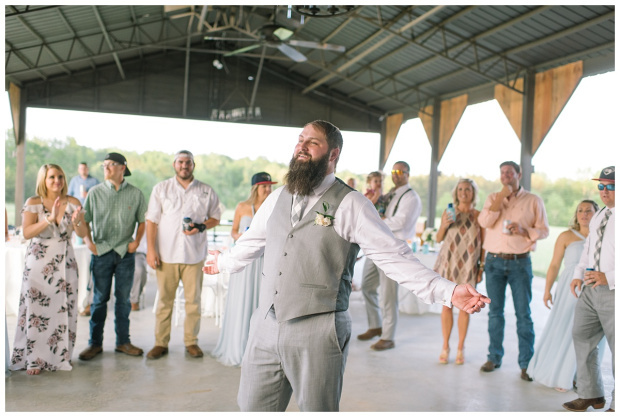 A natural, authentic, rural farm setting less than an hour from Atlanta’s airport where you and your planners and designers can be creative and flexible in planning the perfect occasion! The Farm can accommodate over 250 people for the event and on-site housing is available for 20 adults. Why spend thousands of dollars to rent a venue for just a few hours, when for a comparable price you can plan a multi-day celebration and never have to leave the property? With the character of a working farm for over 100 years, coupled with modern amenities and facilities, the farm becomes your palette, to design a unique “dream wedding weekend” that suites your special tastes. Weddings, rehearsal dinners, receptions, luncheons and groom parties have been held at the farm in various locations. When your party rents Bogle Farm you have complete and exclusive access to the facilities in a 'private compound' type of setting. The Farm also has ample parking for up to 250 or more guests. In addition, all of the meeting and gathering areas are accessible by vehicles without requiring guests to walk long distances. Service roads for caterers, etc., are also in place and provide for access to the wedding and event locations. We feel honored to be a part of your special day and will create a custom wedding package to meet all of your needs.